At the garden we have put it near the patio so it is easy to throw our tea bags and kitchen scraps straight in. Create a base from an old flagstone or whatever. Get four (or five or six) old tyres. Stuff the tyre edges to the maximum with straw. Place a newspaper on the bricks. Pile the tyres on top of each other with the first tyre on the newspaper. You now have an empty four tyre wormery. 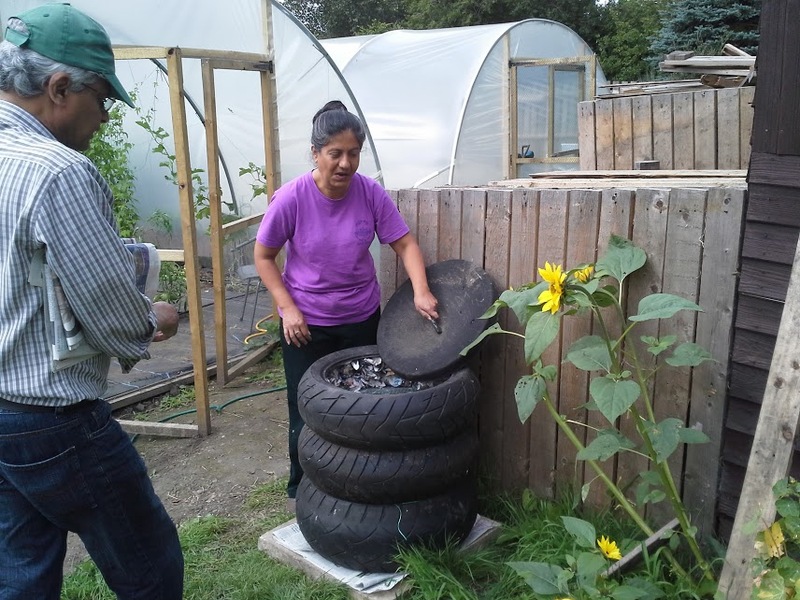 Fill the tyre wormery with organic material, semi-composted is best. If it is in your own garden you can put in kitchen waste (remember if you have built the base without major cracks or gaps then as soon as you put on a lid the wormery is rat proof!). You can add: leftover food scraps including cooked food, tea bags, coffee grounds, egg shells, bread, hair, nail clippings, natural feathers and dust from your vacuum cleaner. It is best to avoid: garden waste such as grass clippings and large quantities of raw fresh fruit and vegetables as these can create excess liquid and lead to a smelly wormery. These can go in your compost bin instead. Harvest a tyres worth at a time roughly every 6 to 8 weeks or so. You are now the envy of all your gardening friends and neighbours as what you have harvested is fertiliser, not compost, and you only need a sprinkling for your plants to be healthy.